iPod ecosystem, part three: in car. 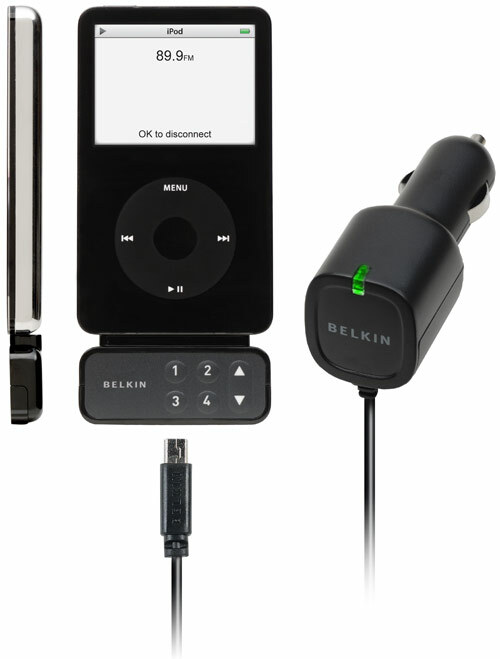 Belkin TuneCast Auto, Belkin TuneFM, Belkin TuneBase FM, Kensington Universal FM Transmitter, Belkin In-Car iPod Holder, Belkin Cassette Adapter. The third chapter of our very historic attempt to glance over at least a tiny share of the variety of iPod-accessories covers those of them meant for in-car use. In view of the present state of affairs with traffic in Moscow, some most zealous car owners spend up to several months a year in their cars, therefore what has to brighten up this time for them - is a big question at hand. Today, a car without audio system bundled with slots for just about any format and of course radio, is a true rarity. However the number of all sorts of accessories produced for iPod makes a clear statement that only few are really into digging into a pile of disks looking for favorite tunes or listen to sometimes vulgar comments of radio DJs. iPod car accessories are designed chiefly in the US, which comes as no surprise, for it is a huge country with advanced car industry and good-and-long roads. Thus, an iPod linked up with car audio does a lot of help on long trips and when searching for a mood-fitting track. And this a crucial aspect of consumer preference, which are being constantly tracked by manufacturers, and since we live in the age of globalization, unification of economy, what has proven good for an American will suit just about any other consumer of wherever. So happens that almost all gadgets spotlighted in this article are retailed under a well-familiar brand, whose transcription is especially sweet to ears of Russians - Belkin. This company has been running business for over twelve years in the area of electronics and accessories and at present numbers about 1000 of employees. As of today, its iPod-tailored accessories are the most wide-spread offerings in Russia, which has left a known stamp on the roster of the review’s highlights. I suppose a year later the situation will change for the better, specifically will move closer to diversified market, instantly affecting the list of units we will examine in our review. Anyhow, the market of iPod-accessories won’t be left out, that’s for sure. 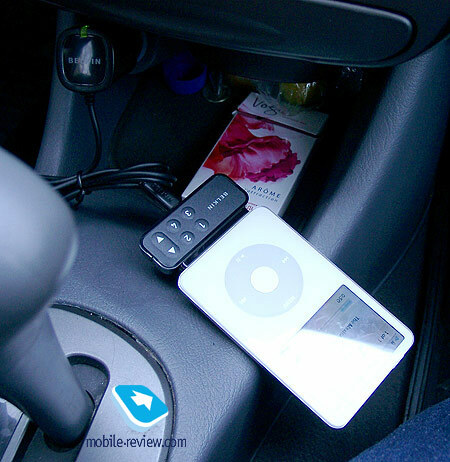 Car accessories for iPod can be split in two big camps – various holders and cradles and widgets for beaming sound straight to car audio. It’s quite natural, that there are some convergent gadgets as well, adopting traits of both classes. The job they do becomes apparent after having a glance at their names. 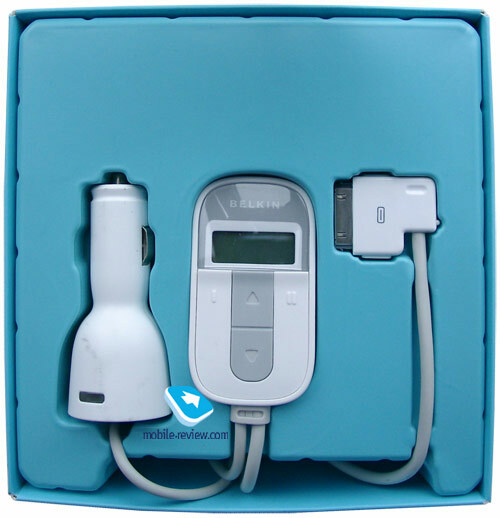 The former ensure that the player has its own place in car, and frequently come with charger bundled. Also, it is essential that the display is visible to either the driver or passenger – depending on where the cradle is put. Various transmitters obviously should beam sound to your car audio, at that they may use either the audio jack or the proprietary connector. Though, that’s pretty much about all common traits of car-accessories for iPod, saving for the most exotic units, that don’t fit in the classification above. The roster of gadgets we got our hands on, looks as follows: Belkin TuneCast Auto, Belkin TuneFM, Belkin TuneBase FM, Kensington Universal FM Transmitter, Belkin In-Car iPod Holder, Belkin Cassette Adapter. 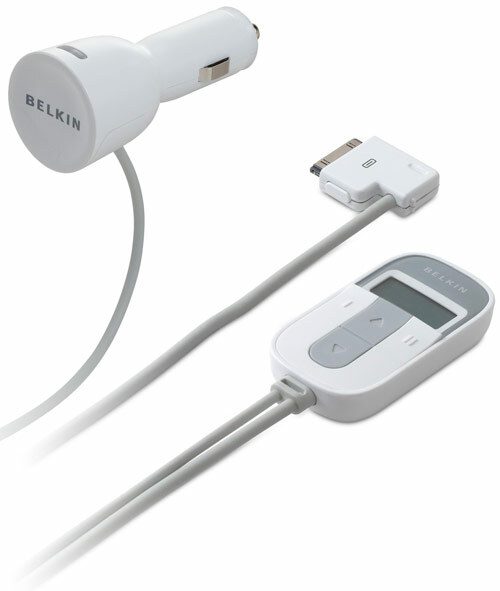 Belkin TuneCast Auto can be given as an example of a typical audio transmitter. Design-wise it comprises of three parts: power adapter plugged in the cigarette lighter, main unit, acting as the transmitter and having some controls onboard, and a connector. Though there is another seemingly tiny detail – a plastic hook for mounting it directly on the control panel with a self-adhesive pad. The TuneCast Auto comes boxed with two hooks apparently to allow settings up two mounting points in a car or stick them into two different cars and always drag the transmitter along, which is not very comfortable. All details of TuneCast Auto are made of white plastic, which is the classic “iPod-color” and in most accessories for this player even these days when there are other trims available, this color scheme is still all the rage. However, to make it sport not too “straight-from-the-hospital” looks, they have equipped the TuneCast with grey cable and insets on the front fascia of the main unit. The build quality was quite difficult to fault – all parts are well-adjusted, gaps are non-existent, saving for one place, though – between the display and buttons there is a pretty wide slit that is sure to get filled up with car dust. For this, the only thing we can advise is regular clean-ups with a toothpick. The main unit’s panel (which doubles as the transmitter) houses four buttons – with two hearing up/down arrows and the other two having I and II etched on them, they are made prominent so as to let you find them by touch. The arrows stand for frequency tuning, and the numeric keys can be assigned to a particular station by tapping and holding one of them, like with your car audio. So you can easily get the most clearly sounding stations into the TuneCast Auto memory and call them up with a subtle movement of your hand. Though the buttons are pretty hard to press, possessing short travel, yet substantial feedback – just like any buttons in a car-tailored gadget should be. We have no gripes with key response with the TuneCast Auto. The character display of the main unit doesn’t offer any kind of graphics, yet it would be out of place here – numbers are medium-sized here, being more or less convenient to read, even though you won’t be able to do without peering at them, since in the end they are not bulky enough. Nevertheless you will barely need that, as most of the time it will broadcast on one and the same frequency. But the thing you one won’t be able to overlook at any rate is the ease of use – those who will want to always listen to new tracks from their over-crammed iPod weak in week out will have to deal with new wires in car and loosely hanging player. “Loosely” because the charger is linked up with the cigarette lighter, the main unit is mounted on the control panel, though the iPod itself with the connector plugged in has no particular place. And it is not a coincidence that the image on the TuneCast Auto box features the transmitter along with Belkin In-Car iPod Holder. In other words the vendor, without being shy, shows users exactly what they need to buy in addition to make good use of their iPods in cars. Word after word have we come to another highlight of this article, but first we would like to go into detail on the transmitter itself – it doesn’t have any makings to make you wonder, as you’d expect, it is very intuitive and easy to use. The receiving part does well, allowing no noises or distortions, the only thing that is up to you is pick the frequency free of any FM radio stations. 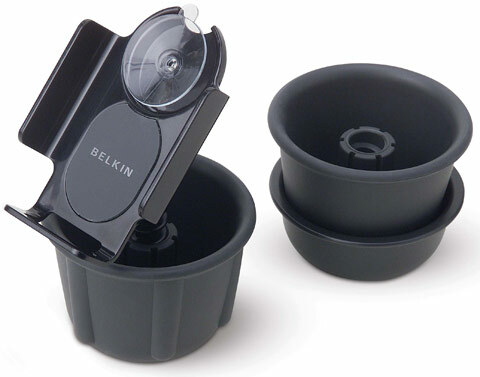 Belkin In-Car iPod Holder will hold your iPod in the standard slot for drinks, as it comes boxed with three “cups” of different height and shell pattern. 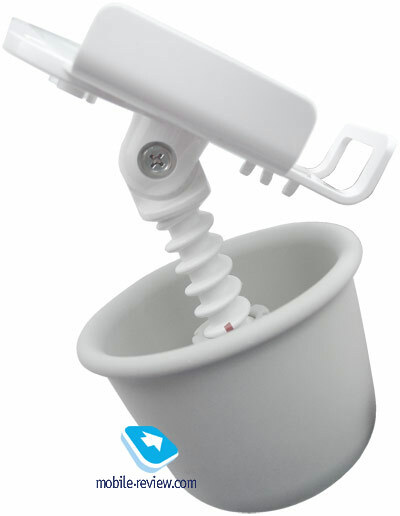 Two of them are armed with threaded sockets for installing vertical iPod holder with firm suction cap. While you can place in there your Nano, it will fit iPod Video and previously released hard-drive jukeboxes best. The holder also comes packaged with a ring made of porous and tenacious material – as far as I know, you should put your iPod in it and them throw it in the cradle, if for some reasons you can’t use the holder. For example, you tend to take the player out of the car whenever you go out, or it is not fitting form-factor wise. We find it pretty challenging to write about build quality of a widget like this – as all they need is more or less accurate forming of the plastic, missing sharp edges or visible defects. In-Car Holder has it all, so we can’t quibble about it. 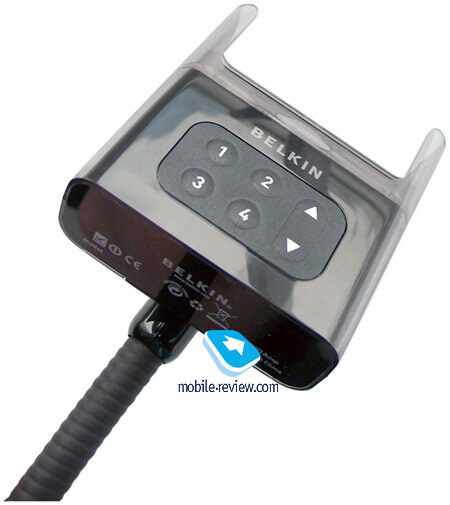 Products by Belkin which are dominating in this article are diversified by an FM-transmitter by Kensington. 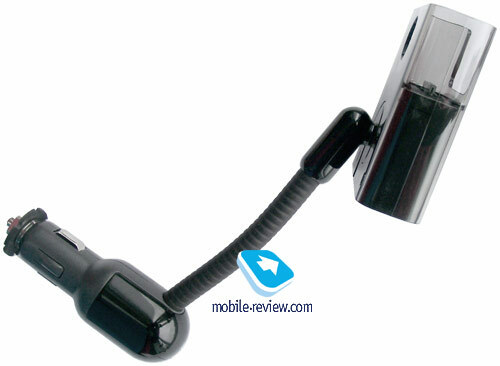 Its specific feature lies in the fact that the Universal FM Transmitter couples the transmitter with the power adapter, commonly plugged in the cigarette lighter, together. And the player, or any other signal source, is connected via non-detachable cable coming out of the device’s casing. Unlike other designs, where the transmitter either consists of two components or uses the player’s display for providing you will information, over at Kensington they picked a different route – they basically chucked a screen with backlighting, four buttons and all chips in one unit along with the power adapter. The gadget is made of black plastic, which seemingly should emphasize its all-rounder reputation. The build quality, though, is average – while the casing has no gaps, in some places it has asymmetrical slits. The device’s look will be welcome in most cars with dominating black or silver colors on the control panel. Thanks to its very compact size, the adapter doesn’t look striking, of course unless we are talking about cars where the cigarette lighter is exposed. The front fascia and partly the top plate of the casing is occupied by a glossy inset that somewhat boosts the device’s looks. On the other hand, no matter what kind of glossy surface it is, it will be exposed to wear and tear, which is evident even from the photos. The cable plugged in the player or any other source of the signal leaves quite good impression with its adequate diameter and hence solidity, which is vital on long trips. The panel facing towards the driver and the passenger holds a tiny character display with amber yellow backlighting, three small buttons and a two-position rocker button. All controls are laid out vertically, apparently for convenience. However, while the display simply does its job and always displays the frequency you are currently on, managing the device is sort of a pain. Specifically, we have gripes only with the rocker button. Maybe, we got our hands on not the finest unit, you can’t leave out this probability, but this key is a true waste. It sits loosely in the slot and obviously moves back and forth in there by a millimeter or two. Over and above, both sides have short travel and barely-there feedback, so you will have to guess whether it was pressed or not basing on the numbers on the display. Finally, while the upper side is placed upon top of the casing’s curve and considerably protrudes from it, the bottom end is mounted flush with the shell, which feels unhandy anyway. 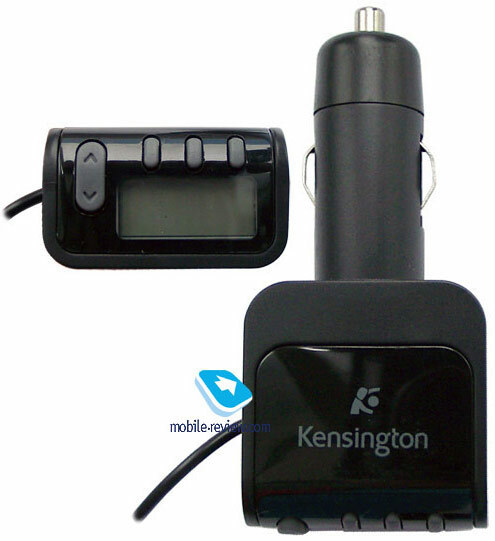 For the rest, Kensington Universal FM Transmitter puts up standard performance for this type of gadgets. The process of signal transmission involves the company’s trademark technology ClearFM, just all other solutions of this kind, meant to enhance sound quality, which proves to be quite acceptable, though the rest of the highlights in this article are no different – thankfully, no rocket scientists are required to do that, and the distance between the transmitter and the tuner is minimal. Another kit for beaming sound wireless from the player to FM-tuner of the car audio. 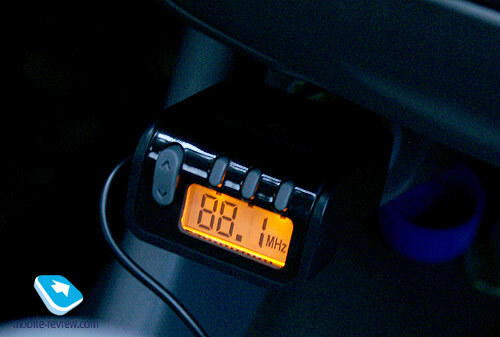 Similarly to the TuneCast Auto, the TuneFM doesn’t have any kind of mounting, meaning that it can be placed anywhere in your car. From my point of view, such cradle-less package results from two reasons, but both of them something to do with economic benefits – missing holder allows cutting retail price, but at the same time motivates users to buy it, allowing the vendor to gain twice. 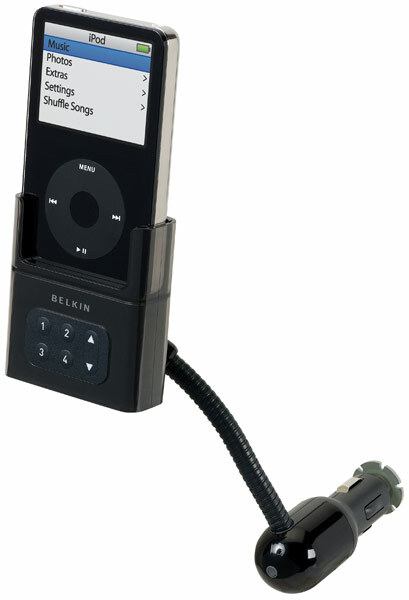 This device utilizes more stylish black plastic that is getting to be a more frequently occurring material with the advent of black editions of iPod. In terms of design, the kit includes cigarette lighter compatible power adapter and the transmitter itself that links up directly with the player. Both are made of smooth black plastic, though there is a newsworthy difference – saving for the face plate, the transmitter’s casing is coated in glossy, which makes it and the TuneTalk by Belkin two siblings looks-wise. The power adapter also has a glossy part placed on its “front panel”, housing a green LED indicating power status. Neither of them has any construction-related defects, all gaps are even as well. 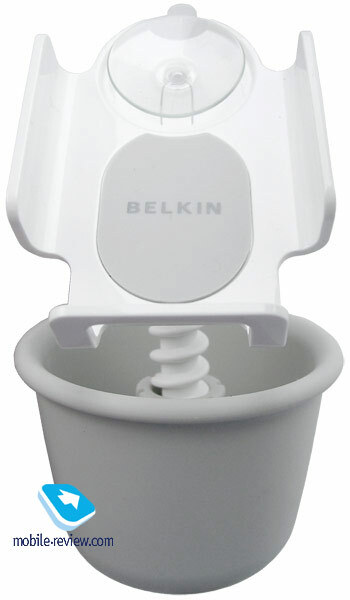 The power adapter transfers AC to the transmitter via the cable put on its casing. In its turn the cable connects to the transmitter with a plug that look like a standard USB plug – apparently, this was made for making gadget development and production easier. All chips are installed in the tiny shell of the transmitter – there is a good chance that it could have been even smaller, but they had to find enough space to put all shortcut buttons on. There are four keys on the TuneFM, each marked with a number (to bind it to a frequency, just tap and hold one of them), and a rocker button for tuning, placed more towards the right spine. What is really good about the keys is that all of them are bulgy, have noticeable feedback and deliver satisfying “click” on every press. It may seem a tiny detail, though in car such pleasant extras result in huge benefits for the user. Current frequency is displayed on the player’s display, and obviously, the TuneFM has no own screen implemented. Sound transfer quality is generally equal with that of the TuneCast FM, and most transmitters by Belkin and other manufacturers are liable to share if not identical, but very resembling circuit design. Anyway, if you find the signal instable on one frequency, you may always go for another and thus get the sound quality you need. I suppose, this will bring some benefits – we are now leaving FM-transmitters aside for some time and focus on an accessory that acts a bridge linking two eras in electronics on the one hand, but which is totally dated by today’s standard. 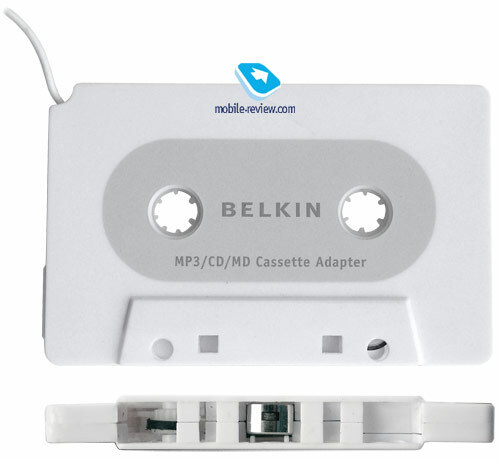 It’s not a big deal to guess that the next unit we review will be an adapter for tape decks - Belkin Cassette Adapter. 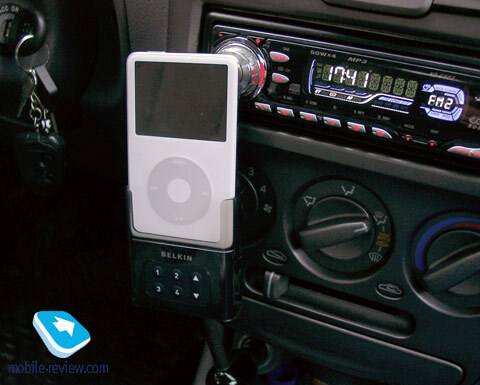 The designers of this device obviously were after an unsophisticated goal – help those who have already forked out to buy an iPod, yet dealing with the same old cassette players in theirs cars. In view of that widely known conservatism of low-end car manufacturers, that kept installing cassette players into cars even when the new millennium came here, this group of people should prove to be pretty much of a crowd. It seems this is what the maker is counting on. Probably, to cater for the broader audience, as the group of cassette player owners is growing thin day after, they armed the Cassette Adapter with the ability to link up not only with iPods, but also any other signal source via 3,5 mm audio jack. Basically, the adapter itself in the sense of shape matches a tape cassette, that was the globe’s most popular audio source seven years ago. A thin wire, having a minijack plug on the end, goes out of one of the casing’s corners, which allows the Cassette Adapter to get sound into the car audio system from any compliant source, be it a portable audio player, or a handset (though in most cases you will need an adapter for the latter). More importantly, the sound quality you get is surprisingly good for the most past – you just need to make sure that the playback head in the cassette recorder hasn’t got covered with dust over the time you’ve listened only to the radio. There is nothing special about this unsophisticated device – thankfully, its design is utterly simple. Right against the place, where the playback head reads signal from a normal tape, the Cassette Adapter has a magnetic component that imitates magnetic field as if a tape with recording was running past the head. At that the Cassette Adapter’s casing is completely identical to an audio tape shape-wise, which allows tricking the cassette player’s mechanism and making it work as usual. Analog connection and uncommon method of beaming signal leave their own stamps on the sound quality, but like we mentioned above, it remains fairly acceptable. And the rest will depend on the cassette player you have in the car. The build quality of the device may be characterized as middling, due to some sort of spongy feel the adapter has to it. If you play around with the Cassette Adapter, or better compare it with a real cassette by a reliable vendor, you will instantly find out moderate hardness of the casing. The adapter seems intended for being always in the cassette player, which makes some sense – any passenger with a player at hand will be able to turn the music on? and the driver himself will be better off with such design, since I can hardly imagine anyone switching between cassettes and a digital player. Wrapping up our today’s story is probably the most sophisticated of all accessories we got our hands on, and therefore the most fetching offering among the pile of FM-transmitters paired with a holder. 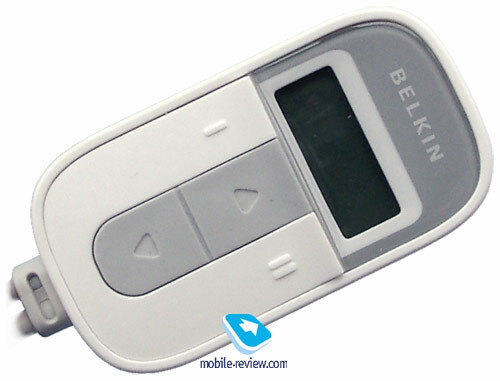 The gadget is called TuneBase FM and manufactured by Belkin. 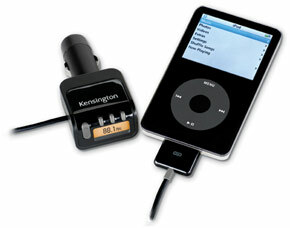 Unlike the above all-rounders, this transmitter is meant solely for use with iPod, supporting all models, including the Nano 2G. Design-wise the TuneBase FM offers a flexible metal “leg” with cigarette lighter compatible adapter on one end, and a cradle with iPod connector and controls on the opposite side. The “leg” enables you bend and twist it pretty much in every way, yet provides the firmness other modes crave for so much. Thus the player can be set right before the eyes of the driver or the passenger, which is quite handy, especially in view of iPod Video display size. We tried out TuneBase FM finished in black, though there is one more available – white, seemingly for the of old-school iPods owners. Let us be honest - in car white is not the most welcome color, as chances for this smudge-prone device to get dirty skyrocket. The build quality is quite something, especially against the backdrop of other accessories – all details are finely tuned, creaks or gaps are not on the TuneBase’s dictionary. The “leg” is coated in rubber and looks quite durable. The process of getting the kit on place is quite straightforward: the adapter gets plugged in the cigarette lighter, then the user adjusts the transmitter’s position to his/her own liking, thankfully it flexibility enables that, and finally the player goes into the holder. Then you just select the frequency and set it on your car audio. Simple. The TuneBase FM is controlled via four buttons and a rocker key mounted on the face panel. In fact, most of the time you will be using the rocker key for tuning, as other buttons act as shortcuts to frequencies. 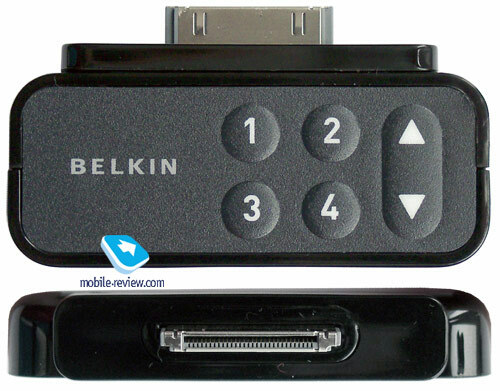 The controls seems like they were made to last – bulky and solid keys with strong feedback and moderate travel. All presses get instant response, the device delivers good tactile feelings. Being a more sophisticated offering that most of those available today, the TuneBase FM allows you to configure output power by five levels (apparently for the sake of power saving, I can’t think of any other reason). As regards the rest, the device’s functionality is enough for coping with its primary task – it stably beams sound signal from the player, the sound quality, as well as the level of noises are adequate. 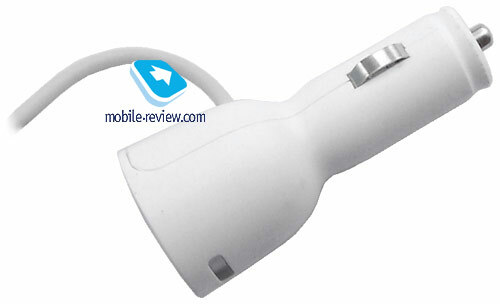 In this article we managed only to cast an eye on the ocean of car accessories for iPod. And at this point the trilogy “iPod ecosystem” comes to an end, after fulfilling its role of the pioneer of all-in-one reviews on audio-players accessories. In its time, iPod took on the same role, becoming the first player ever that made vendors start producing so many accessories. The good thing is that today other top market players have awoken to that trend, including Samsung which is now cooperating with Belkin for Indigo accessories, Sony with its WM-port that should become the universal connection method, and Creative. Naturally, we are not shutting this interesting and important topic of accessories for players, and definitely are not going to confine ourselves to iPod alone – we shall get back to this segment of personal audio market some day.